From the sounds of it, Olsen begins his superhero career mostly because he’s bored—and who can blame him? With his romance with Kara seemingly shelved, there’s not much else for the photographer to do on the show. So it makes sense he’d want to fight alongside Supergirl to keep National City safe, even if he doesn’t want her to know it’s him. Brooks shared the new costume late Wednesday on Instragram, adding on Twitter that he thinks the new suit looks “incredible” and that he’s excited to see kids dress up as his character for Halloween. The suit looks pretty good, although it seems like it would overheat if James hung out in the sun too long. It’ll also be interesting to see how he uses the shield, given it almost looks like an extension of his arm at this point. 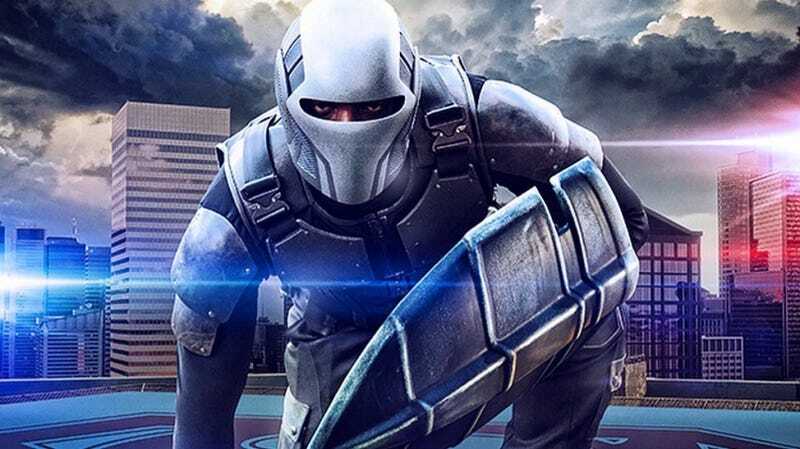 And we’re just going to assume that the armor is lead-lined, because otherwise Guardian’s secret identity would stay secret for about 0.02 seconds after his first encounter with Supergirl.